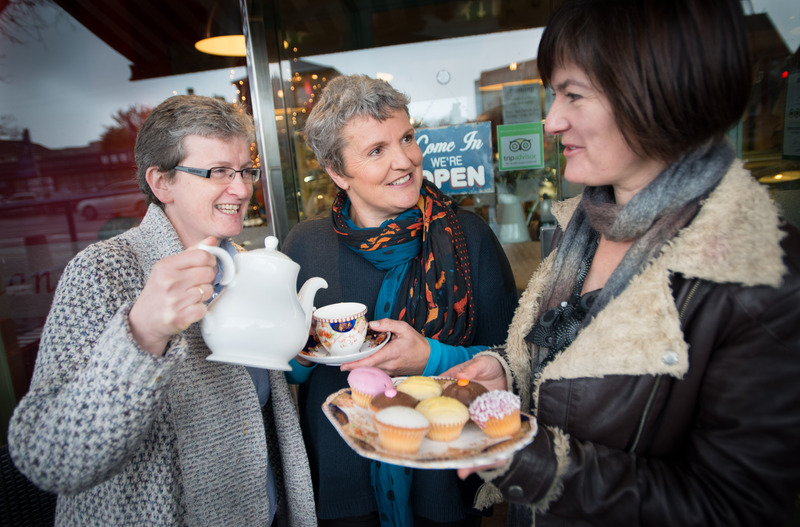 The Alzheimer Café concept continues to grow in popularity in Ireland with the launch (November 6th 2014) of a new Alzheimer Cafe in Dublin. This brings to approximately 13, the number of café’s across Ireland. 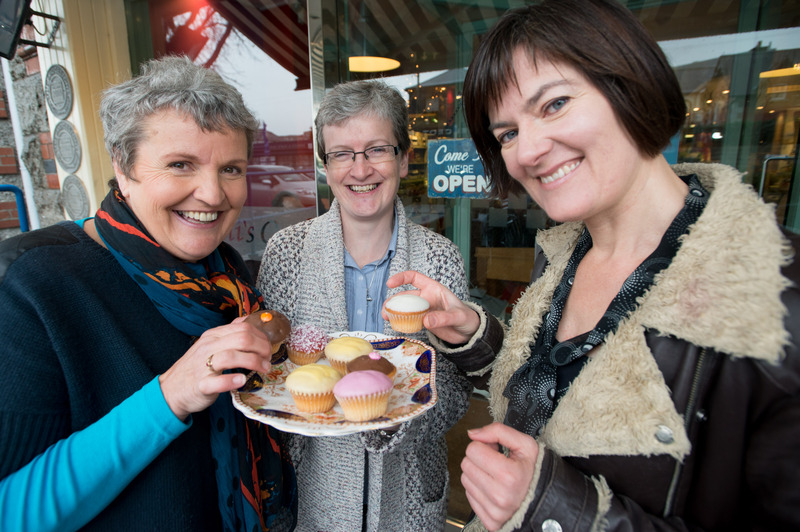 On hand to launch the new Alzheimer Café which will be based in North Dublin was Fair City star Rose Henderson who stars as “Val” in the popular soap. Rose’s father has Alzheimer’s and she has attended the first Alzheimer Café which was established in Donnybrook. Below are pictures taken at the launch. The Alzheimer’s Cafe will take place in Santa Sabina House, Dominican Campus on Thursday 6th November, from 7 p.m. to 9 p.m.
Fair City star Rose Henderson (left) with Sr Edel Murphy, OP, (centre) and Sinead Grennan, CEO Sonas APC. Sr Edel Murphy, OP, (left ) Fair City star Rose Henderson (middle ) and Sinead Grennan, CEO Sonas APC.